The following was observed on an AO IBM carbine. In addition to the multiple stamps, it’s strange to see different fonts on the same receiver ring like the A and E. They look like IBM’s and AO’s, but not sure how could that be possible? I'm wondering whether this may have been where a die was changed out. It looks to have chattered at least twice on each die. Yup, that is what I was thinking as well. CCNL 345-6 shows the receiver ring fonts for IBM and AO and they look different. The flat top 3 is shown as IBM. 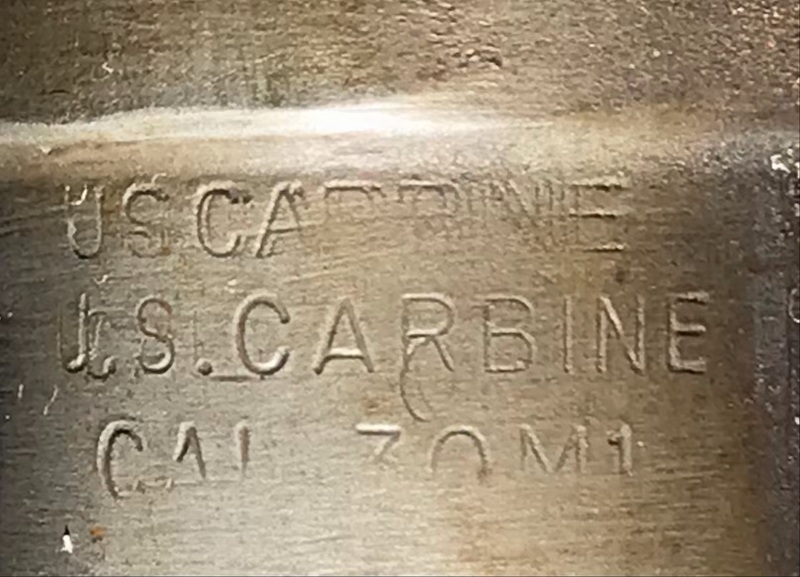 The top A in Carbine looks like IBM. The serif 1 is shown as IBM. The bevel is marked AO. Hard to tell for sure with such a poor stamping. How would one determine which stamps were made first?